Welcome to Wellness On The Yough! We are so happy you are here. 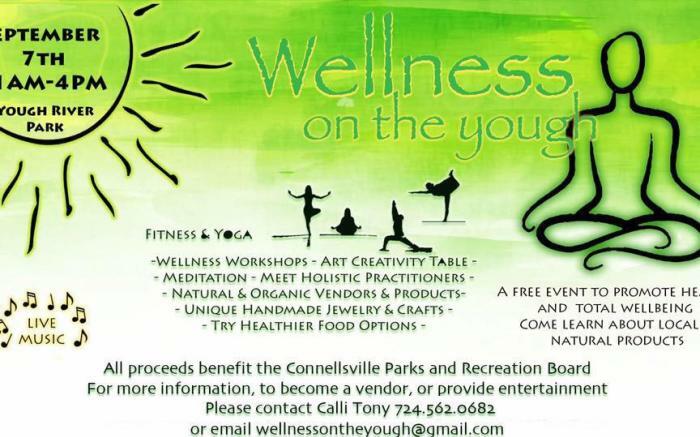 Wellness On The Yough is a one day holistic living festival, held in Connellsville, PA. The event is held the first Saturday of September annually. It is a FREE event and open to the community. We are thrilled to bring together this unique community of local businesses, educators, practitioners, instructors, and so much more! We come together to celebrate natural and healthy living! During Wellness On The Yough you can enjoy a wide variety of educational and hands-on workshops where you will learn all about natural and healthy living! You can also participate in our 90 minute fitness class that showcases instructors throughout the area. We can’t forget about food! Stop by our healthy food vendor for some delicious choices for your lunch! Bringing this community together is the foundation of this event. We believe that we can truly benefit from learning and utilizing more holistic options. We welcome attendees from all walks of life and are looking forward to another amazing event! 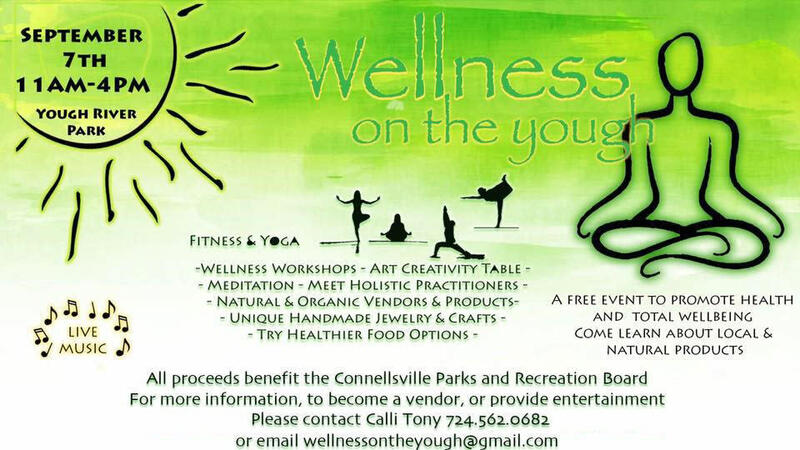 If you are interested in participating as a vendor or would like to sponsor this event please call Calli Tony 724-562-0682 or email wellnessontheyough@gmail.com!